Finally some great news for Manchester United fans in the transfer window. 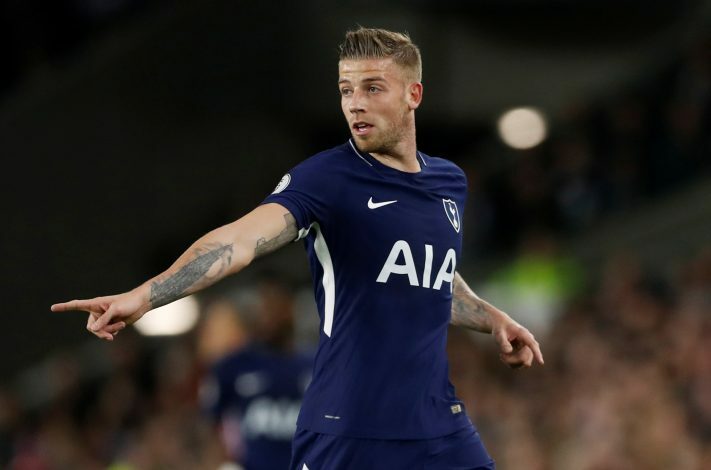 The Mancunian club are closing in on a £60m deal for Tottenham Hotspur defender Toby Alderweireld. Jose Mourinho had made the Belgian centre-back a top priority at the end of last season. Jose had also handed a list of defenders to the United board that included Leicester City’s Harry Maguire. But the Foxes rejected a £65m bid for Maguire, which forced United to look elsewhere. Over weeks, a deal with Tottenham for Alderweireld had stalled and that’s where many other names came to the fore. Spurs were adamant in asking £75m for the defender, but United weren’t keen to shell out as much. After negotiations now, there has been a breakthrough between the two clubs. According to a report in the Mirror, Alderweireld will be joining United for £60m. The Old Trafford unit believe that they will get their target inside the next 48 hours. Spurs felt this will be the right move to cash in on the former Atletico Madrid man at an optimum price. With the player suffering an injury last term, Spurs boss Mauricio Pochettino turned to Jan Vertonghen and Davinson Sanchez as his preferred centre-back partnership. That meant less game time for the 29-year-old. Alderweireld had an excellent World Cup campaign for Belgium and helped his side reach the semis. Jose could possibly line the player up alongside Eric Bailly for the 2018-19 season. Although he will have to fight for a place given United’s resources in central defence.